“What do you seek in these shelves?” Mr. Penumbra, the owner of a strange, tiny bookstore in Los Angeles once said this to Clay, a soon-to-be clerk at the shop. Although Clay at first was looking for an job, what Clay ends up seeking in the shelves is far more than a job as a desk clerk. 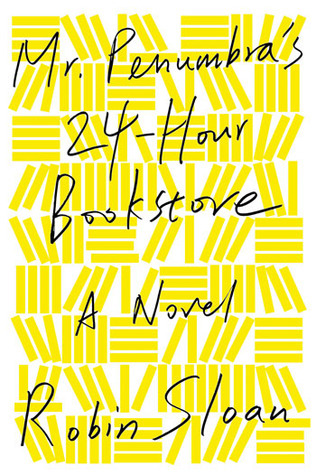 In the book Mr. Penumbra’s 24-Hour Bookstore, Clay’s job seems as ordinary and dull as it appears. That is, until he discovers the back shelves, full of mysterious tomes containing matrices of unintelligible gibberish, which he calls the “Waybacklist.” Things start to get interesting when he steals a logbook to create an interactive map of the store using his programming knowledge that solves The Founder’s Puzzle, a puzzle by Aldus Manutius, a 16th-century printer who founded a cult called The Unbroken Spine. Clay works to decrypt an ancient book called the Codex Vitae that Manutius wrote. Supposedly, it holds the secret to eternal life. Clay deciphers it with the help of his friends, such as wise Mr. Penumbra, artistic Matt, lightning-smart Googler Kat, and millionaire Neel. The combination of new, contemporary technology with ancient books was very interesting and added an intriguing element. Robin Sloan incorporated many important literary elements in his novel, including character, themes, conflict, tone, and writing style. He used character by giving every main character a personality, which added very much to the novel, in that giving characters a personality makes them feel real and three-dimensional. For instance, he established character in Clay through dialogue as a funny, sarcastic guy who has a logic-oriented mind. He mainly established this through Clay’s inner thoughts and the dialogue between him and other characters. One of the major themes in this book is teamwork. Each member working with Clay has a diversity of talents, ranging from Mr. Penumbra, who knows a lot about the cult of the Unbroken Spine, to the mysterious life hacker Grumble who aids Clay along the way. The book proves many times that without each other, they wouldn’t have been able to decipher the Codex Vitae. Another major theme is the transition between old technology, such as books, with new, like computers. This plays an important role in the novel, and is the key to making sense of the Codex Vitae, as well as finding it. One of the most important elements in this book was conflict, because Clay and his friends faced difficulties in every step of the way. The most major conflict was Corvina’s resistance to having the Codex Vitae scanned with modern technology. In the book, he is the leader of the Unbroken Spine, and he favors the conventional approach of solving it with pen and paper. However, the Unbroken Spine has been trying to solve the Codex Vitae for over 500 years, and they have gotten nowhere. Only Clay and his team realize that computers are the answer because of their computing capabilities that far exceed any human effort. One of my favorite things about the book was the tone and writing style. It was written in the first-person, so it had Clay’s paradigm mixed in with the story. His tone was logical, but sometimes funny, sarcastic, or snarky. This contributed to Clay’s character. He always knows how to lighten up the mood, even in the most dire circumstances. I would highly suggest this book anyone who enjoys a fast-paced adventure, although it does have a few inappropriate references. One of the best parts of the mystery was how Sloan tied in Clay Jannon’s favorite fantasy book series, The Dragon-Song Chronicles. In conclusion, it was an exciting, intriguing book that kept me riveted throughout.